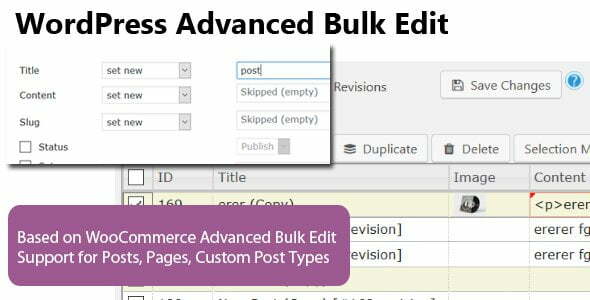 WordPress Bulk Edit – Easily edit your posts, pages and custom post types individually or in bulk. Filter posts by title, category, tags, description and excerpt, status, post author. Set, add, remove categories (bulk). Optionally delete images from server when permanently deleting posts. Powerful Selection Manager – select posts via search conditions. Export posts to a csv file.